Lillian and I met serendipitously coming home from the 2018 Manzanar pilgrimage where, on a long, three and a half hour bus ride from the Owens Valley to Los Angeles, the organizing committee welcomed camp survivors to share their story with the group. 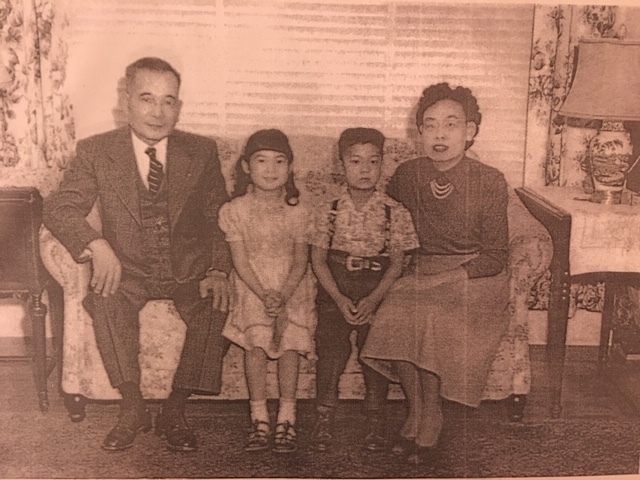 Lillian was the first one to volunteer her story, and reveal her special connection to Manzanar: She was a baby in the camp orphanage, formally known as the Children’s Village, which was the only one that operated for all ten camps. (Children of Japanese ancestry who had been given up for adoption or orphaned at the time of E.O. 9066 were no exception to the incarceration and were collectively sent to Manzanar). Where were you born and what is your birthday? I was born in Tacoma, Washington on September 30, 1942. 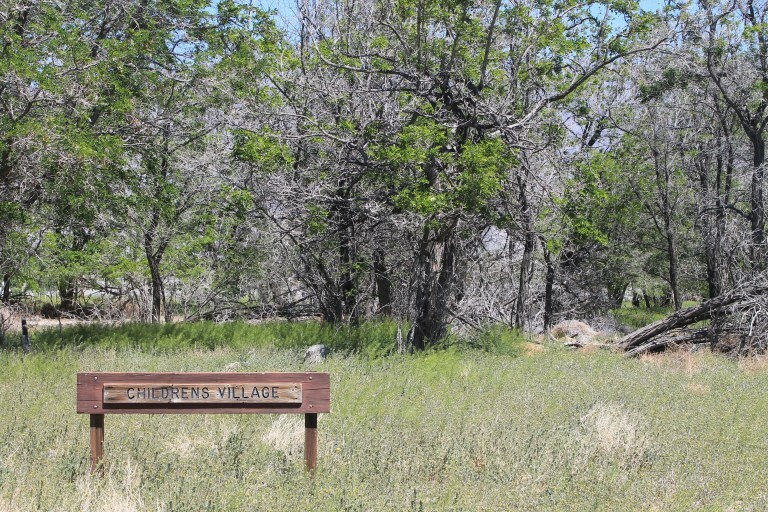 Can you describe how your mother made the decision to have you live in the Children’s Village in Manzanar? I am not certain about the exact circumstances of how or why my birth-mother decided to give me up for adoption, but after finding various internment archives over the years, my son was able to locate some of my biological family and piece together a partial account of what happened. Apparently, my birth-father was a Japanese fisherman who came here on a commercial boat but stayed in the United States illegally. He met my mother and they raised a family together. When the war started, my birth-father was deported back to Japan for ten years, and my mother was relocated away from their home in Tacoma. Sometime between the initial removal from their home and when they were sent to the internment camp at Tule Lake, my mother gave birth to me and offered me up for adoption. At the time she already had three small children. My brothers and sister were five, three, and two, respectively. With her husband gone and no other family members to help, I can only guess that my mother felt overwhelmed by such terrible circumstances and believed that my best chance at finding a stable home would be with another family. How was the care inside the Children’s Village? We all received excellent care in the Manzanar Children’s Village. Mrs. Matsumoto (the Assistant Superintendent) and all of the camp volunteers were extremely dedicated, and as a testament to their work, not a single child died in camp. Why was your father sent back to Japan? We only recently found out, after contacting my birth family, that my father had entered the country illegally when he arrived, and after Executive Order 9066 was signed, all Japanese nationals were sent back to Japan. Fortunately, after the war my family successfully petitioned for him to return to the United States. They were reunited and lived the rest of their lives in Ogden, Utah. Since you were just an infant during the war, what do you remember about coming out of camp? I do not remember leaving Manzanar because I was only 3 years old at the time. The earliest memory I can recall was getting a brand new tricycle at age four from my adopted parents, Toyoji “Frank” and Josie Hattori, who lovingly raised me and my adopted brother, Ken. Can you talk about your adoption process and where were you raised after the war? My legal adoption papers were handled by the Manzanar social worker, Ms. Robbins, and approved on the 23rd of July, 1946. After the war, my adopted brother Ken and I were taken to Yerington, Nevada by my new parents. We later relocated to San Francisco when I was six and I lived there for more than twenty years. Do you remember if there was any anti-Japanese sentiment or discrimination that you faced growing up? Since I grew up in San Francisco Japantown, and the city was such a multiethnic area to begin with, I was not exposed to a great deal of discrimination growing up. However, when I was seven or eight years old, I was waiting at a bus stop in San Francisco and a Caucasian boy about my age called me a “Jap,” which of course I did not like. However my adoptive mother told me to ignore it, but to remember that, “You have already formed an opinion about the boy.” I never forgot the incident. Looking back on your wartime experience, what do you think was the most difficult part for your parents and family? The wartime experience affected my family members in vastly different ways. It was obviously very difficult for my birth parents, because we later learned that they were separated when my father was deported back to Japan for nearly ten years. My mother was placed in a very difficult position because she was a single parent and was already caring for three small children. After the war, my mother and siblings moved to Ogden where they temporarily lived with friends and were forced to start their life over again. My adoptive parents, however, were largely unaffected by the war because they lived outside the exclusion zone in Nevada and were not subject to the internment. They also had a stable family business, which was not impacted by any of the wartime restrictions. However, the one incident that hurt my father very deeply was when his Rotary Club in Yerington revoked his membership because he was Japanese. For many years he had been a pillar of the community, always giving up his time and services to families, and to be rejected by his friends was a devastating experience for him. How did the WWII camp experience affect your adult life? Many years later, I began doing research on internment and I started to appreciate my connection to Manzanar and all of the people who suffered through that difficult time. I also formed lasting friendships with other survivors from the Children’s Village, and I keep in touch with several of them to this day. Tell me about your feeling and response when you received your redress. The monetary reparations from the redress were of course welcome, but what was most significant was the official apology from the U.S. government for the injustices of internment. The letter I received from President Clinton, on White House stationary, was very significant and it marked an important day in my life. What paths did you follow as an adult? What career, hobbies, or passions did you pursue? I started piano lessons at six years of age because my Kindergarten teacher influenced me, and with the encouragement of my parents I continued it for my entire life. I am proud of being a concert pianist and organist for over 30 years, and also during that time I donated my services by playing the organ every Sunday at my community church. Is there a lesson you want your grandchildren/great-grandchildren to know about the incarceration? I think everyone should know how important it is for us to record these oral histories, and we should continue the legacy for future generations. A heartfelt thank you to Lillian’s son, David Bonner, for coordinating this interview.